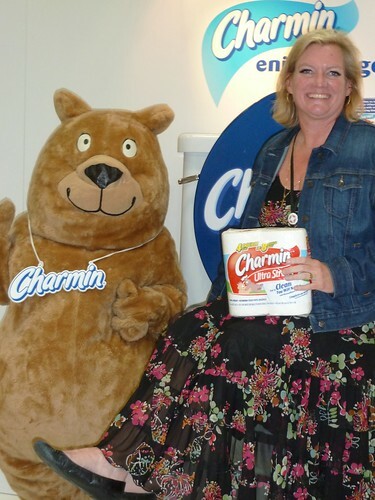 I have to admit that we are fans of Charmin in our house. 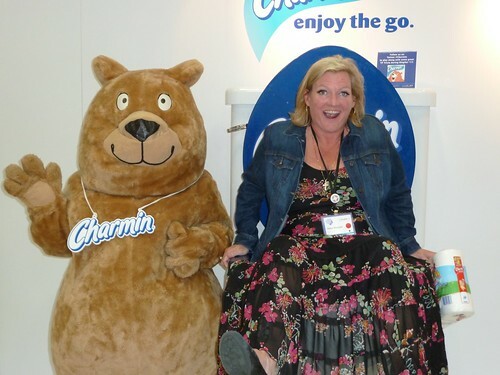 At the Blogher Conference Charmin brought the always squeezable Charmin Bear and an enormous toilet. You know I couldn't miss that photo opportunity! So I leave you with that! Any of you in the path of Hurricane Irene, please stay safe. Have you bought your water, batteries, and toilet paper? I was not compensated for this post. I simply couldn't resist having an excuse to post these pictures. Those are hilarious - now I feel sad I missed the giant toilet! A Hurricane is coming, what now?